Hello and welcome to my website! Thanks for reading. 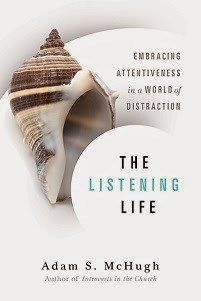 I'm Adam McHugh and I am the the author of The Listening Life: Embracing Attentiveness in a World of Distraction and Introverts in the Church: Finding Our Place in an Extroverted Culture. I'm a writer, spiritual director, speaker, retreat leader, ordained minister, and most recently, a sommelier and wine tour guide. I am currently working on my third book, a more personal look at my move from ministry to wine, which I hope will be called Blood from a Stone. 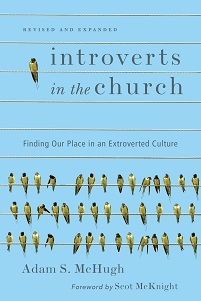 It will be released by InterVarsity Press in 2021. What gets me up in the morning are the thoughts that I need to write down, and a lot of French press. I have been published in The Christian Century, The Washington Post, Quiet Revolution, The Huffington Post, Leadership Journal, Relevant Magazine, Psychology Today, and Conversations Journal, among other publications and websites. I am featured in Susan Cain's bestseller Quiet, but they cut the centerfold photos at the last minute. I've been quoted in the New York Times, USA Today, and Psychology Today. I even served as a guest chaplain in the U.S. House of Representatives on February 28th, 2012, which meant I prayed from the State of the Union podium while giving hand signals to my college buddies back home watching on CSPAN. Because I have the sort of friends who watch CSPAN. One time Metallica told me that I rock. I grew up in Seattle and very much miss the rain and the homicidal despair of the winter. For 10 years I lived in Claremont, California, which is truly my spiritual home, but I am now trying out life, for the second time, in Santa Barbara wine country. I worked as Tasting Room Manager for the Au Bon Climat winery for 2 years, and now I work in two boutique wineries in Los Olivos. I am also a wine tour guide, Certified Specialist of Wine, and wine retreat leader (read more here). I have degrees from Claremont McKenna College and Princeton Seminary. I also received my spiritual direction certification through the Catholic Archdiocese of Los Angeles.